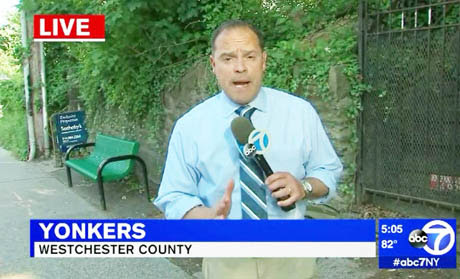 NEW YORK -- A New York man has been cited for keeping a wild deer on the second floor of his home. 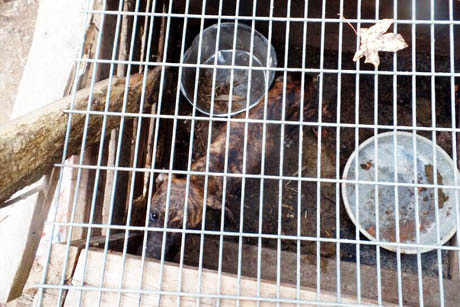 State Department of Environmental Conservation Officer Jerry Kinney says his office received a complaint that a neighbor was harboring a wild animal in his Jamestown house. The resident told responding officers he believed it was legal to keep the whitetail deer fawn in his house for up to six weeks before he had to release it. Officers told him this was not true and issued the resident a ticket for illegal possession of protected wildlife. Kinney says the deer was in good health and was released back into the wild. NORTH CAROLINA -- A Benson man has been arrested following the discovery of a meth lab in the Plain View community. 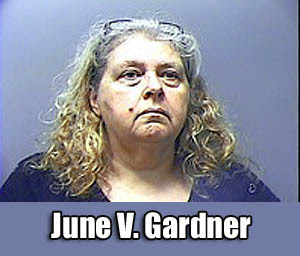 Deputies responded to the meth lab at 41 Butterfly Lane, Dunn, following a tip. The home is located just off U.S. 421 near the former Plain View Grocery. A search was conducted and Victor Evans, 40, of Benson was arrested and charged with manufacturing meth, six counts of possessing meth precursors, possession of meth, destroying criminal evidence, resisting officer, cruelty to animals and possession of drug paraphernalia. Evans, who is listed as being of the Butterfly Lane address, also reportedly has a Benson address. Sampson County Sheriff’s Lt. Marcus Smith said, “Cruelty to animal charges come from having animals inside the residence while cooking meth. 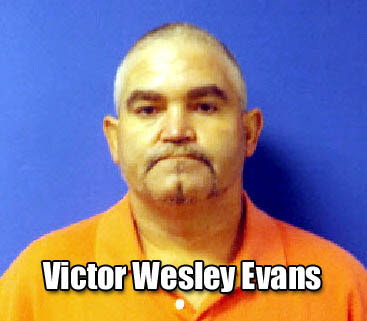 According to the N.C. Department of Public Safety, Evans was convicted in April 2016 in Johnston County of possession of a Schedule II controlled substance, a felony, stemming from an incident the month before. He was given probation, but had that probation revoked and served three months in prison, from the beginning of August 2016 to the end of October 2016, court records indicate. 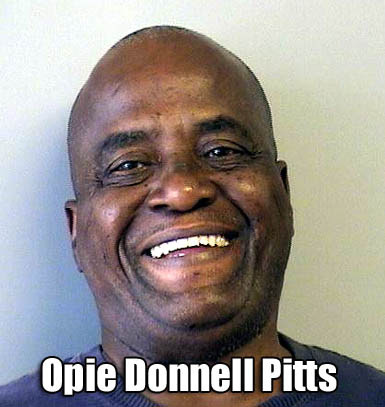 His probation status is currently listed as inactive. 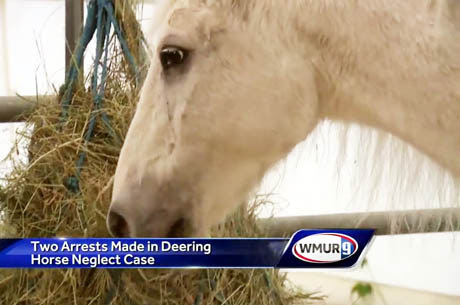 NEW HAMPSHIRE -- Two people have been charged in connection to a horse neglect case in Deering. 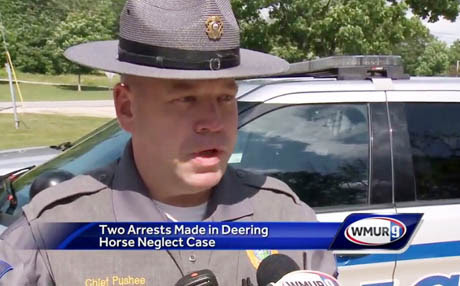 Police executed a search warrant after the department received numerous complaints about the state of the horses living on the 70-acre property. 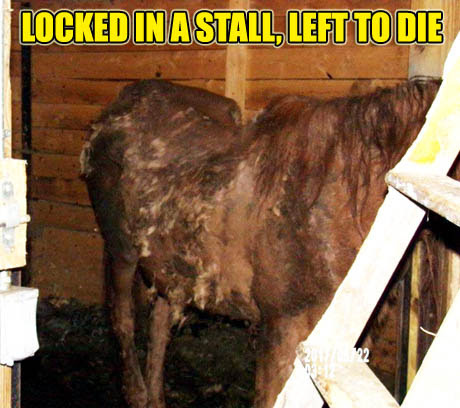 Neighbors reported they may have been locked inside a barn for more than a year. 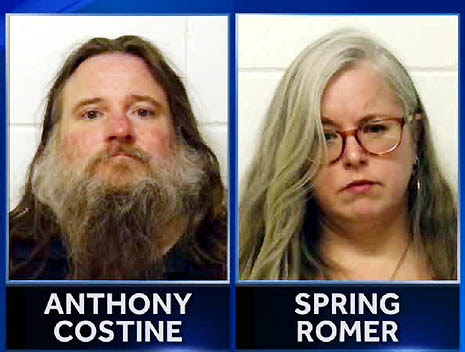 Anthony Costine, 46, and Spring A. Romer, 46, both of 558 E. Deering Road, surrendered to local police at 5 p.m. on Tuesday, according to Police Capt. Thomas Cavanaugh. Romer also lists Quail John Road in Thetford, Vt., as a home address. "It was abhorrent. 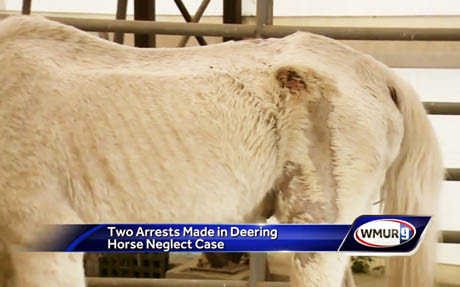 It was as bad as I've ever seen in a barn, and I've lived on and around farms," Deering Police Chief James Pushee said. "And I've seen some neglect and abuse cases before, and this was pretty bad." The pair have been charged with four Class A misdemeanor charges of cruelty to animals. 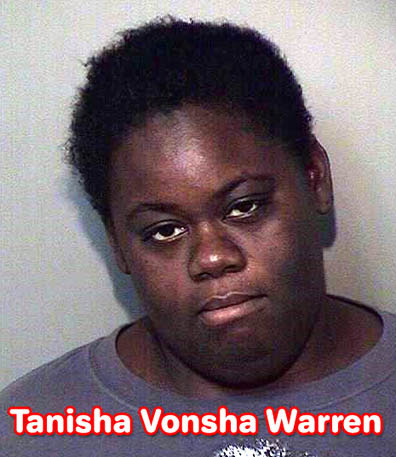 Both were released on personal recognizance bail and face arraignment July 27 at the 6th Circuit Court Hillsborough District Division. 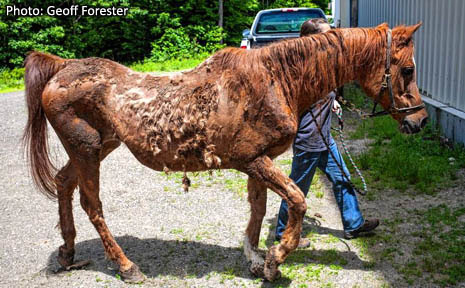 The last of four horses – newly named Solstice – was ushered out of the back of its trailer, its gray, matted hair covered in filth. The horses moved slowly toward their new pens at the Live and Let Live Farm in Chichester. They hadn’t been outside in years, rescuers said. 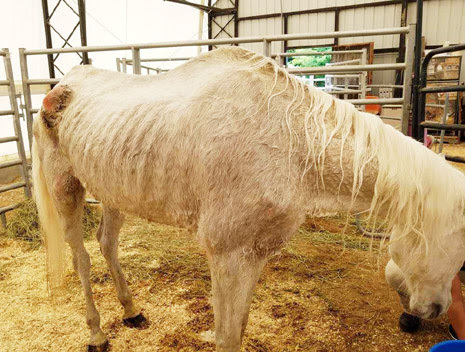 Another horse, renamed Supernova, was mostly skin and bones and had a visible tumor on her stomach in addition to her muscle atrophy. In their new environment, volunteers got a chance to closely examine the horses. At Live and Let Live Farm, where the horses are getting food, love and medical care, their minds remain on recovery. Rebecca Howland, a documentary filmmaker who is profiling the farm, was on her first rescue mission Thursday. The four horses were given a new name – each after a cosmic event because of the summer solstice on Wednesday – to commemorate their new start. Joining Solstice and Supernova were Eclipse and Equinox. Paradis said the horses faced a long, difficult and expensive road to recovery. 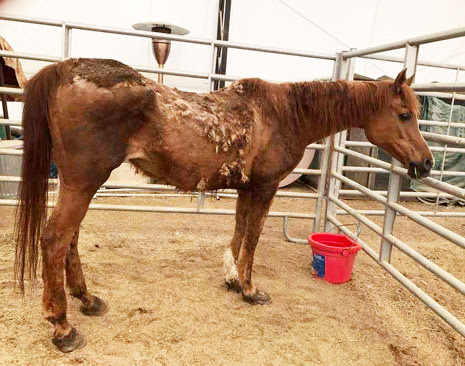 "I would rather focus my energy and ask other people to focus their energy on the healing of these horses," said Sharon Morey of Live and Let Live Farm. While the horses may have been removed from a dangerous situation, volunteers say they still face an uphill battle. Some of them face multiple health issues. "She’s got double, bilateral hernias, the other side is much, much worse," Morey said of one of the horses, named Supernova. 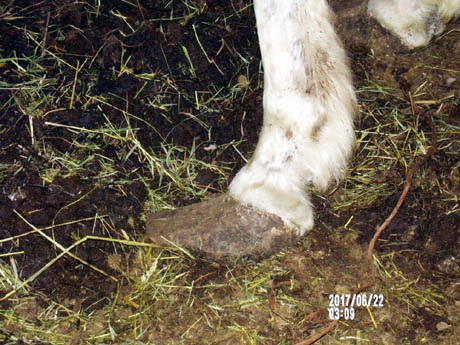 "Her leg has either been broken in the past or some sort of bone chip or some sort of trauma where her leg is actually bent." 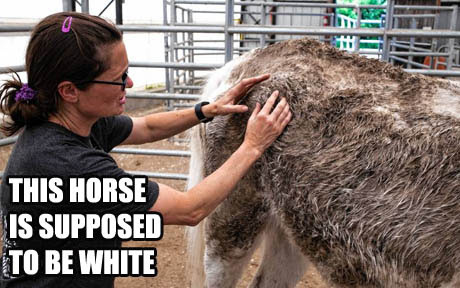 The farm is reminding the public they can help in the horses’ care. The rescue farm has raised $8,100 for their care so far and once they hit $10,000, an anonymous donor has promised to match it. 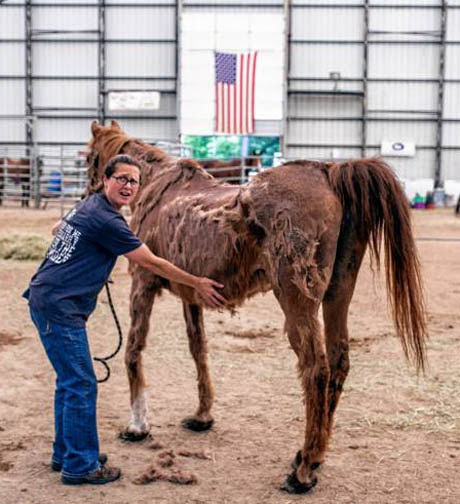 All of it is going toward a hope for a better future for these horses. "I’d like to see them have a shine in their eye and be loved and they have been loved this week, they've been so loved on,” Morey said. 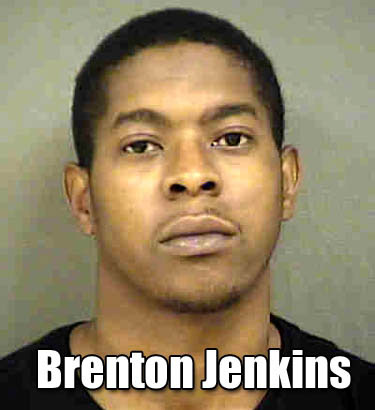 North Carolina: Corques Johnson given probation for starving his three Pit Bulls to death. Does anyone ever go to jail for animal cruelty??? 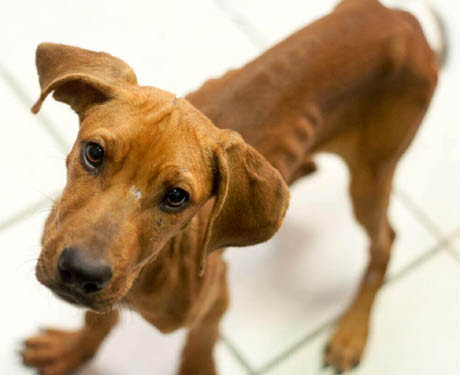 NORTH CAROLINA -- A Hollister man charged with six counts of Misdemeanor cruelty to animals after three dogs were found dead on his property has been found guilty. Corques Lamar Johnson pleaded guilty to three counts of cruelty to animals on Tuesday and is barred from owning a dog for 18 months. The Halifax County District Court clerk’s office said he also faces 18 months of probation and must serve 48 hours of community service with animal control. 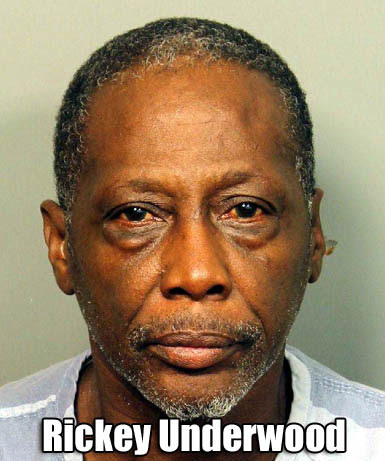 And they didn't even bother to charge him with felonies. 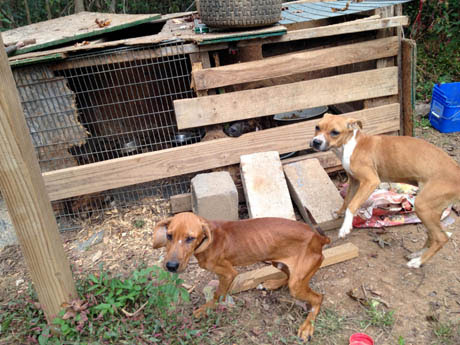 Two fieldworkers with People for the Ethical Treatment of Animals called Halifax County Animal Control in November and reported multiple dead or starving animals on Johnson’s property near Medoc Mountain Road. David Perle, PETA senior media coordinator, previously said a total of eight animals, mostly pit bull terriers, were found on the property. Only five were still alive. 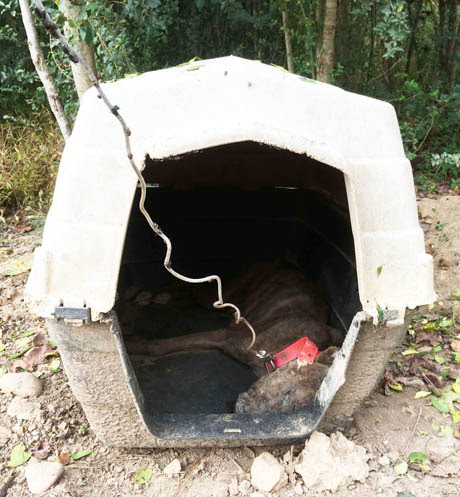 “A preliminary necropsy report of the three deceased dogs revealed starvation and dehydration as the cause of death,” Perle said in November. After Johnson’s arrest, Robert Richardson, Halifax County Animal Control supervisor, said only the condition of six dogs warranted charges. 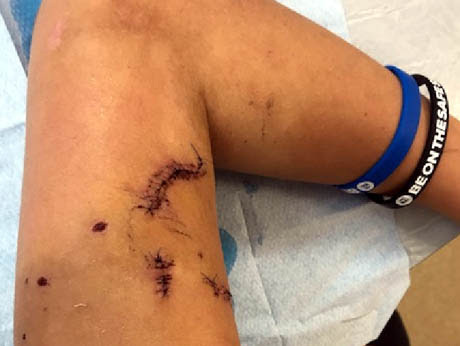 AUSTRALIA -- Bailey McLoynes, 15, has been left with numerous stitches — more than 60 in one wound alone — and unable to move his arms because of torn muscles and ­injured ligaments, the Mt Druitt-St Marys Standard reported. 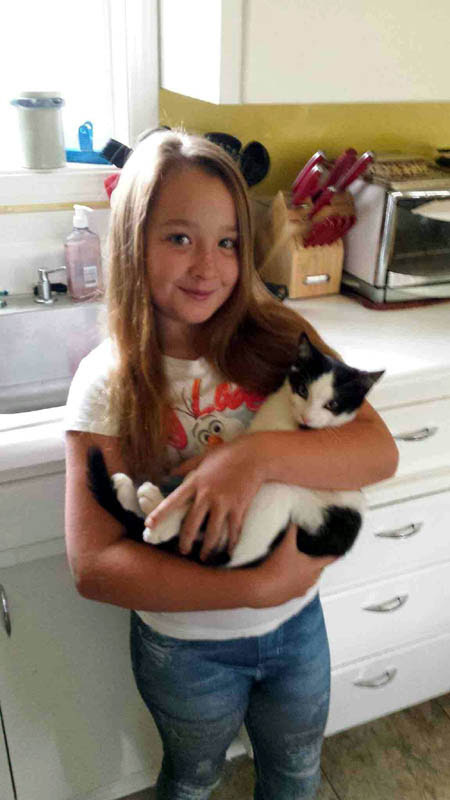 Bailey was walking home from school when a large black dog cornered him about 3.10pm on Friday, June 16. Before he knew it, the dog was on top of him. Luckily, a man nearby heard the attack and wrestled the dog off Bailey before jumping a fence to safety himself. 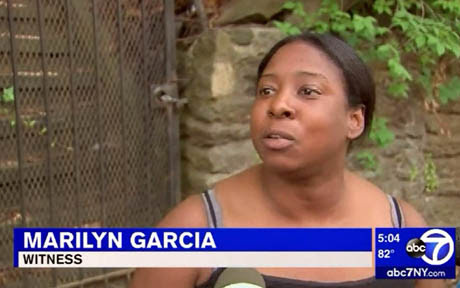 “I was walking and I saw a black dog running around the street,” Bailey said. “The black dog got in my way and it froze and I froze. “The dog jumped at me and I put my right forearm up to hit it but it latched on. I was shaking (the dog off). Then it released and latched on to my bicep. He said the neighbor, Jeremy, came to his rescue with his partner Stacy. “She took all her clothes off apart from her singlet to stop the bleeding,” Bailey said. “I couldn’t really move my arms. 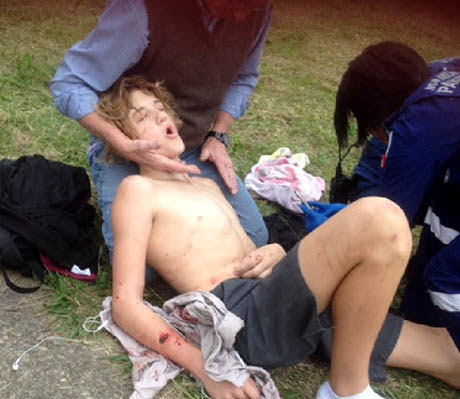 Bailey’s mother Prue said she was horrified to learn her son had been attacked. 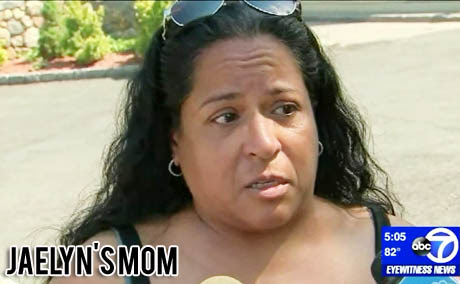 “I was just numb,” Mrs McLoynes said. “He’s grown up around dogs. He’s been around all different size dogs, different temperamented dogs, his whole life. “It breaks my heart. He’s not allowed to use that right arm at all because the muscles and the tendons have got to heal. 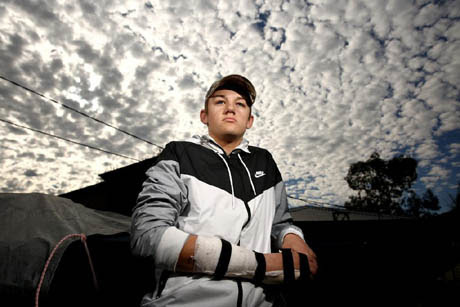 After the initial surgery at Auburn Hospital, Bailey has had countless doctors appointments and has to see a physiotherapist to improve the movement in his arms. 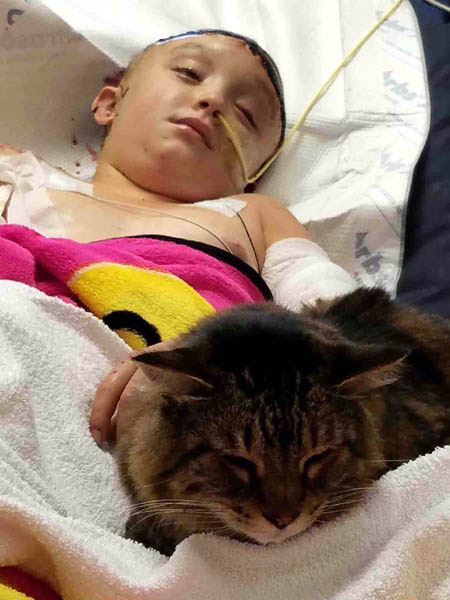 Mrs McLoynes said the ambulance officers who treated Bailey were amazing, as were the council officers investigating the attack immediately afterwards. 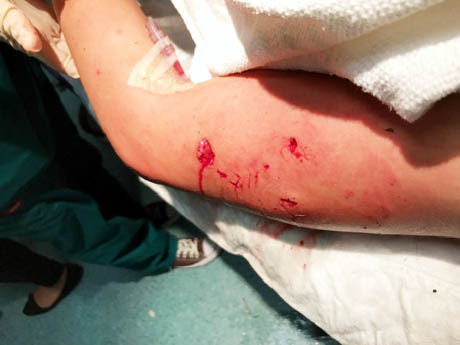 She said she had seen which property the dog was dragged in to just after the attack but was frustrated at the lack of action by authorities. “I’d just like to see the dog put to sleep in a humane way because it’s not the dog’s fault,” she said. “Dogs are not born like that, they’re raised like that and I can just see that this dog’s going to bite a member of their family. It is not clear what action will be taken, if any, against dog’s owners. 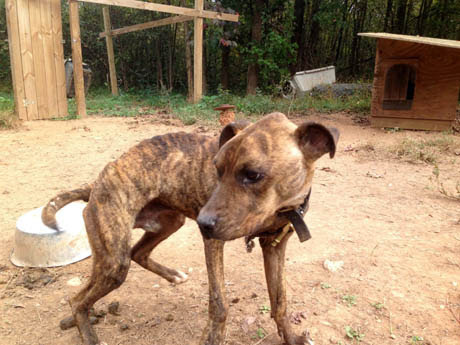 Virginia: Back in October, Animal Control removed 22 dogs from breeder Hannah Licwinko and the house was condemned. Police say Licwinko, 49, moved out, but secretly hid 18 dogs inside the condemned home. VIRGINIA -- Last week, police said 18 dogs were pulled from a condemned home on East Beverley Street in Staunton by animal control officers. 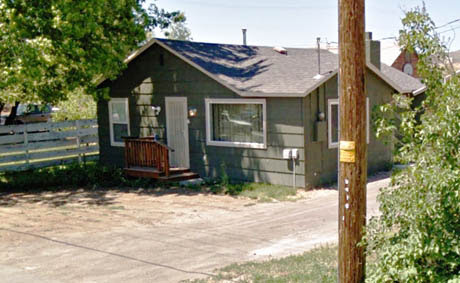 The seizure of the animals came eight months after 31 dogs were taken from the same residence, according to a search warrant. Once the homeowner was contacted and entry to the home was gained, the officer noted a "strong smell of feces and ammonia inside," the search warrant stated. The search warrant said 31 dogs were seized from the home. The dogs had overall good body weight, the search warrant said, but many of them had overgrown nails, fleas, skin conditions and "possible upper respiratory issues." 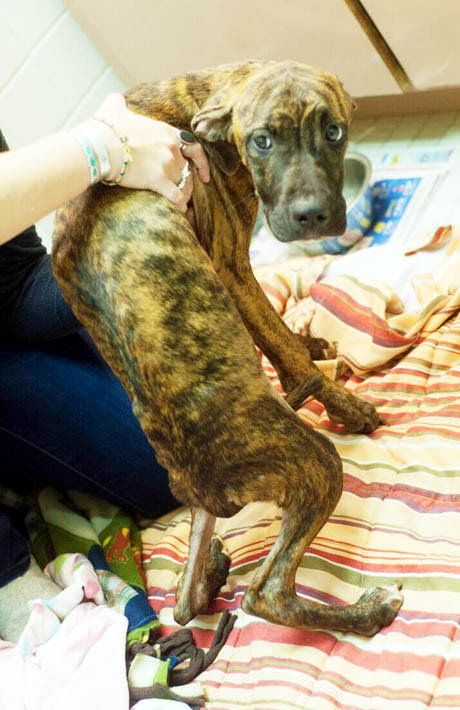 Twenty-two of the dogs pulled from the home in October were surrendered to animal control. The woman who owns the home was allowed to keep four dogs, the limit in Staunton unless one has a breeder's license, said Officer Jennifer Stevens, a spokesperson for the Staunton Police Department. Several other dogs were reportedly given to the woman's son and a friend. Police said the water inside the home was turned off in April 2016, and city officials condemned the home in November just days after the dogs were discovered. But last week on Friday, officers from animal control were back at the East Beverley Street residence following another complaint of dogs being left inside the home, which is still condemned. "They took 18 dogs out of there," Stevens said. "A lot of them were prior dogs," taken in October. Court records show that Hannah Marie Licwinko (aka Hannah Marie Oxendine, Hannah Oxendine Lickwinko), 49, faces a civil violation in connection with the most recent seizure. Stevens said criminal charges are pending. Many of the dogs from the October seizure were surrendered to the police department and adopted, according to Stevens. The 18 dogs taken from the home on Friday were taken to the Shenandoah Valley Animal Services Center in Lyndhurst and will be held until a judge makes a decision in the case, Stevens said. 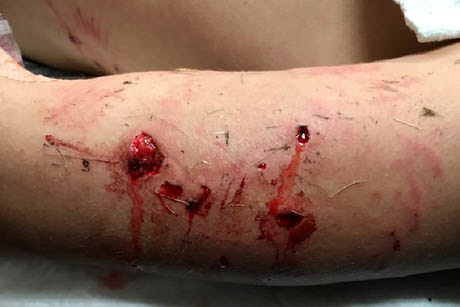 Oregon: Nearly $20,000 raised for girl, 10, mauled by Bull Mastiffs. Sheriff, who initially said there was no criminal investigation says now that there is a criminal investigation. 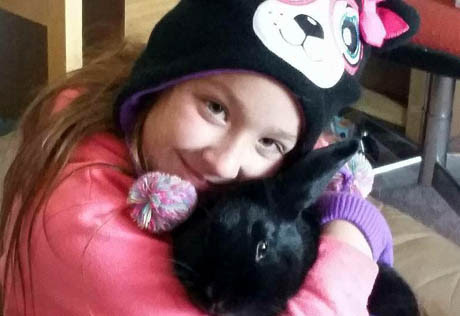 OREGON -- Local residents have donated nearly $20,000 to the family of a 10-year-old girl seriously injured during a dog attack earlier this month. 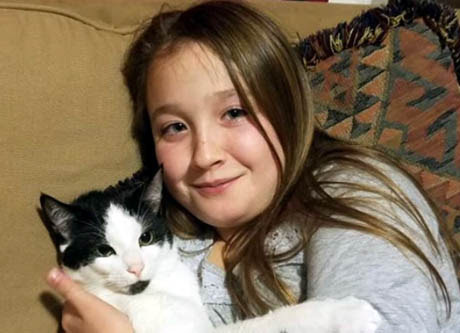 Ten-year-old Alyssa Stevens was hospitalized June 1 after being attacked by her neighbor’s dogs on the 3800 block of Shasta Way. 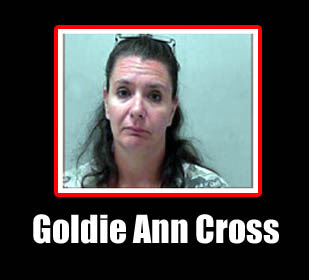 She sustained injuries to her arm and torso and significant damage to her scalp. Stevens was in the neighbor’s enclosed yard with the dogs — four mastiffs — when at least three of them attacked her. 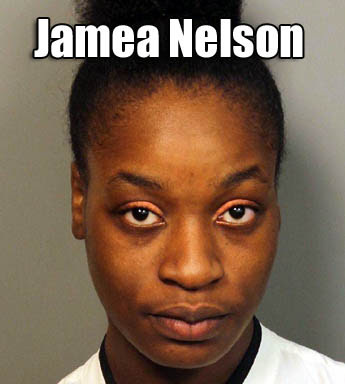 Authorities said the girl had been around the dogs multiple times before without incident. 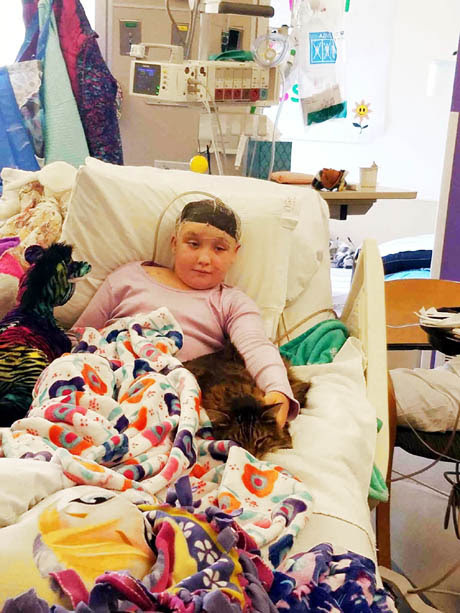 Stevens was transported to Doernbecher Children’s Hospital, in Portland, where she remained on a ventilator for the first two weeks and is currently undergoing physical therapy. A GoFundMe campaign has raised nearly $20,000 for her medical care out of a goal of $50,000. 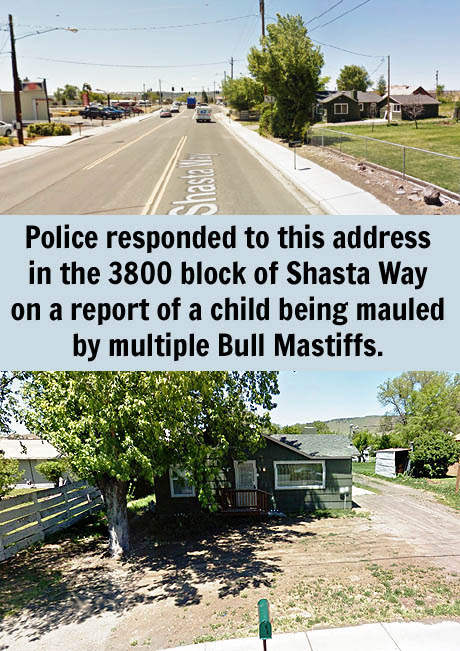 Authorities said the girl was playing with four mastiffs in the owner’s yard on the 3800 block of Shasta Way when she was mauled by one or more of the dogs for an unknown reason. 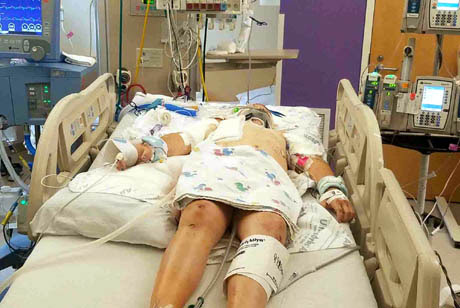 She was transported in critical condition to Doernbecher Children’s Hospital, in Portland, with injuries to her head and torso. 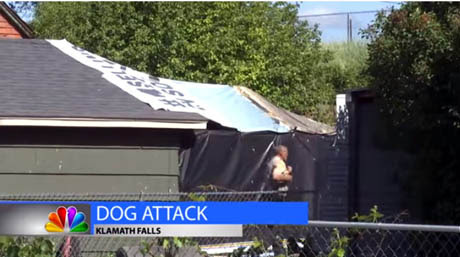 A release from the Klamath County Sheriff’s Office said it does not appear the owner of the dogs was at fault for the attack and no charges have been filed. 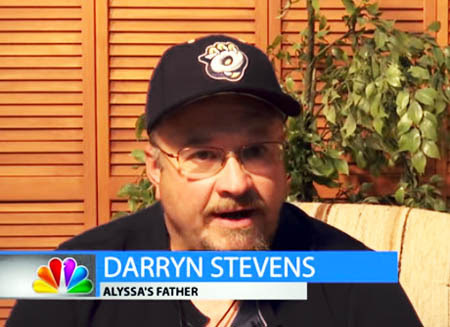 In an update about Stevens’ condition Sunday, father Darryn Stevens said Alyssa is struggling with her blood pressure and has required 40 units of blood due to an open wound on her head. 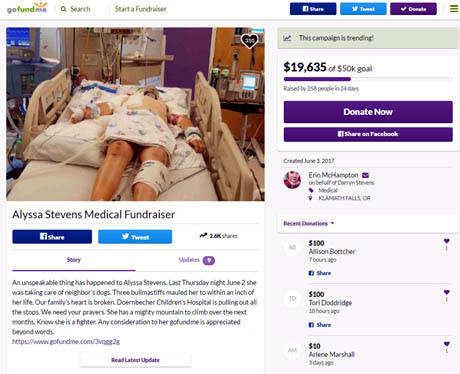 A Facebook group has also been established soliciting hair donations from local women to make wigs for Stevens, as doctors were unable to save her scalp. To contribute to the GoFundMe campaign, visit Alyssa’s page. An unspeakable thing has happened to Alyssa Stevens. Last Thursday night June 2 she was taking care of neighbor's dogs. 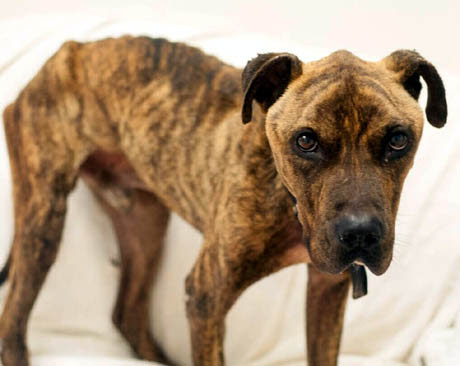 Three bullmastiffs mauled her to within an inch of her life. Our family's heart is broken. Doernbecher Children's Hospital is pulling out all the stops. We need your prayers. She has a mighty mountain to climb over the next months. Know she is a fighter. Any consideration to her gofundme is appreciated beyond words. "Day 13, 1st time in as many days that I have heard my baby's voice....... today I got to hear it again. Ventilator removed. Words can not describe my joy. She is awake with life, now we start the next step to recovery. Without all your love and support this would be very tough. God bless." After a brief trip to surgery we learned that none of Alyssa's scalp is viable she will never be able to grow her own hair. I made this sight to ask all ladies everywhere will you join with me and cut your hair to donate to make Alyssa Stevens all sort of different styles and colors, she deserves the same experiences growing up as a young lady trying different styles, lets give her a style for her first Jr. High dance, first date, prom, graduation day, and the most memorable her wedding day. Come on ladies our hair will grow back with time this could have been anyone of our babies lets show um what us mommas can do. 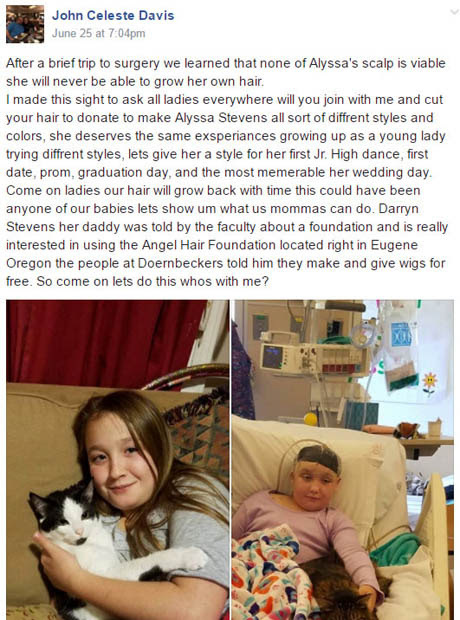 Darryn Stevens her daddy was told by the faculty about a foundation and is really interested in using the Angel Hair Foundation located right in Eugene Oregon the people at Doernbeckers told him they make and give wigs for free. So come on lets do this whos with me? Meanwhile, although the Sheriff initially said there was NO criminal investigation - that it was just a tragic accident, it seems they've decided they need to do an investigation before declaring it not a criminal matter (I mentioned this in the first post). 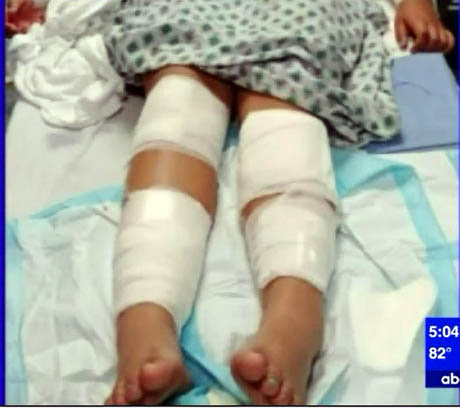 The Klamath County Sheriff’s Office has not ruled out the possibility of criminal charges as they continue to investigate a dog attack that scalped and seriously injured a 10-year-old girl earlier this month. On Tuesday, Klamath County Sheriff Chris Kaber said, after investigating additional leads and conferring with prosecutors, he has decided to keep the investigation open due to the potential for charges of maintaining a dangerous dog. 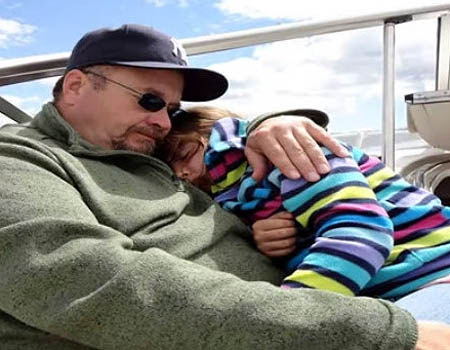 Though Kaber initially said his office did not suspect criminal wrongdoing, he said Tuesday they have re-examined the incident and the possibility of charges remains on the table. 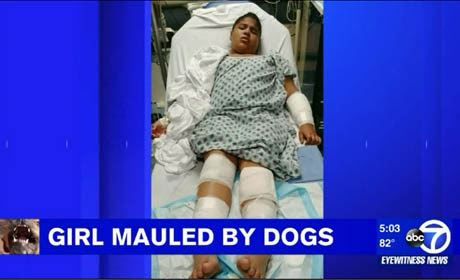 New York: She was screaming for dear life, 'Help me, help me,' - Girl, 11, mauled by two Bull Mastiffs. 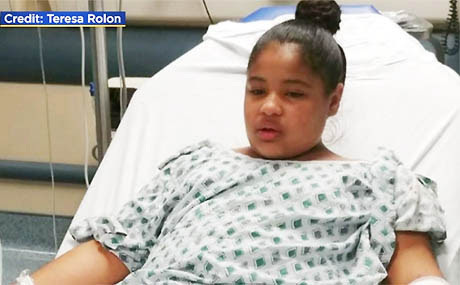 NEW YORK -- An 11-year-old girl was mauled by two dogs while walking to her school bus stop in Yonkers, New York, Thursday morning. The dogs reportedly were running loose, selected Jaelyn out of everyone else on street, jumped on her, knocking her down and then attacking. 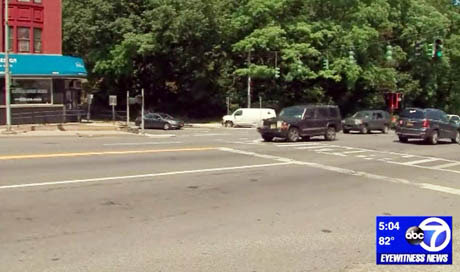 "They were trying to pull that (pointing at bench) off to throw at that dog," said witness Marilyn Garcia, who was driving by when she saw the attack happening. "They started throwing bottles, throwing everything they can, and those dogs would not let her go. She was screaming for dear life, 'Help me, help me,' And I'm just standing here, like, I don't know what to do."